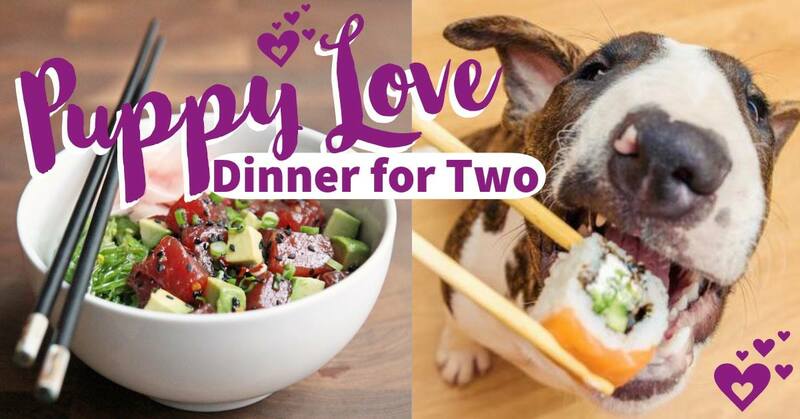 Join us for our 2nd Annual Puppy Love Dinner for two and show your true love a night out on the town! Last year we shared tacos, this year its sushi with your pup brought to you by Ikigai Sushi St. Pete. Best of all you don't need to have reservations!! Because this is a popular event you can only choose between a turkey bowl or a sushi roll for your dog for $8 and Ikigai will have their regular human menu available featuring $10 poke bowls.